It all started at a pig pickin’ in 2010 where Michael’s eastern NC barbecue met Geena’s lowcountry shrimp and grits. Add in a few beers and a couple of tomato pies and a friendship was formed. After a Robert Earl Keen show and some serious cook-offs, the spark was ignited. The spark became a full fledged fire when Geena made a two tiered birthday cake for Mike’s brother and father in tribute to their childhood duck hunting cabin. Throw in some hunting weekends in Williamsburg County, SC with Geena’s family, and borders between North and South Carolina quickly faded. The Woodard family came to be. 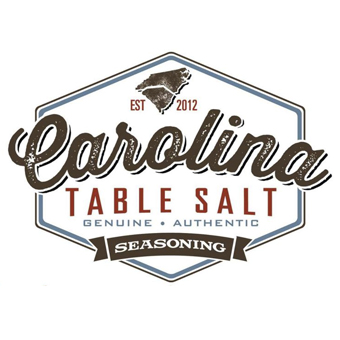 At Michael and Geena’s wedding, packets of what would become Carolina Table Salt were given out as favors to all the guests. Naturally, Geena’s legendary shrimp and grits were served along with Michael’s now famous eastern North Carolina barbecue.